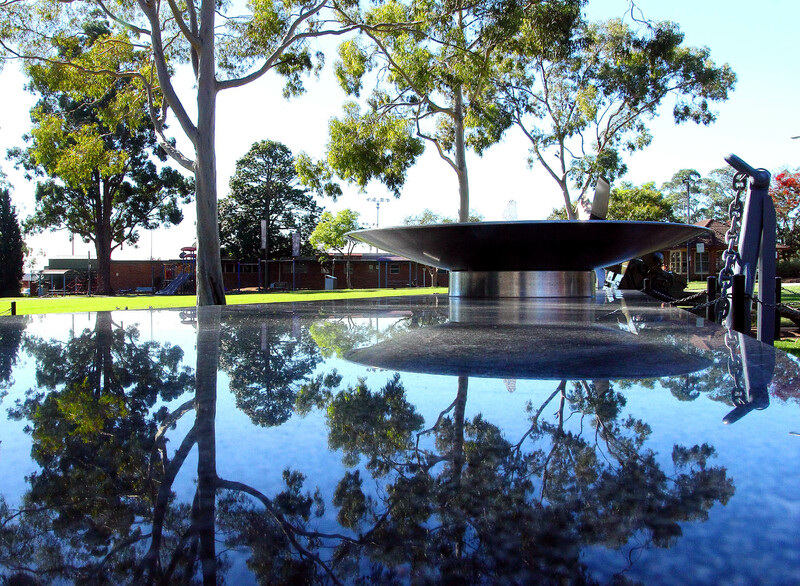 Mawson Park is a fascinating place close to the main shopping precinct. The park already possessed a War Memorial obelisk, interesting tributes to the three armed services and a plaque dedicated to the Unknown Soldier. Now this beautiful new monument has been added, with its own water feature and an adjacent row of plaques with the names of the Fallen. In addition to the War Memorials, Mawson Park also contains a wonderful statue of Elizabeth Macquarie, an old milestone, an old birdbath and some attractive floral displays.